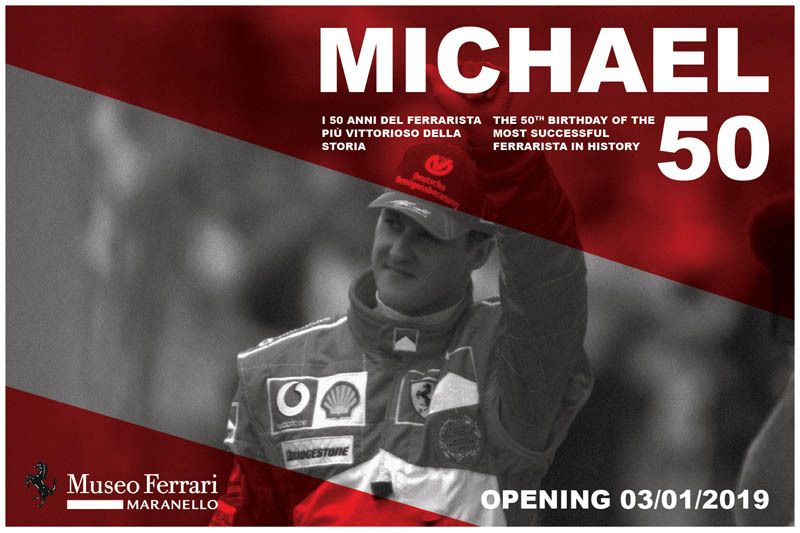 The Ferrari Museum in Maranello is to host a special exhibition next month to mark the 50th birthday of Michael Schumacher. The exhibition, which will open on 3 January, his fiftieth birthday, is intended both as a celebration and a mark of gratitude to the most successful Prancing Horse driver ever. Schumacher has a special place in Ferrari's history, which has been marked by his many records. Between 1996 and 2006 the German won five consecutive Drivers' titles, from 2000 to 2004, and made a major contribution to the Scuderia's haul of six manufacturers' titles over those years. The Museum's rooms will look back over the memorable seasons that the seven-time champion gifted to all 'Ferraristi', and that created a legend now bigger than ever in the hearts of all fans. The exhibition will also show Schumacher's crucial contribution to the development of extraordinary GT cars in his years at Maranello, as a driver and later as a consultant. 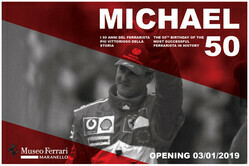 The 'Michael 50' exhibition is in collaboration with the Keep Fighting Foundation. Renault marks "end of an era"